In this two-day, in-person, international training course, you will learn to use Therapeutic Listening® modulated audio selections to create individualized, home-based programs for clients. You will also learn how to implement Therapeutic Listening strategies in conjunction with postural, respiratory and sensory activities. The course will take participants from assessment through treatment outcomes; creating complete Therapeutic Listening programs. Case-study video presentations will be used to illustrate points and show changes in individuals with listening and other sensory processing difficulties. This course will be, especially, meaningful for practitioners who have a background in sensory integration, including therapists in schools, hospitals and private clinics. 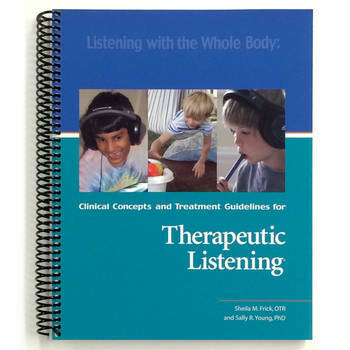 This course provides participants with the necessary background information to immediately begin incorporating Therapeutic Listening into their programs. Develop the relationship between listening and sensory integration. Identify individuals with sensory processing and listening difficulties who may respond well to Therapeutic Listening. Create Therapeutic Listening programs that are adapted to meet specific needs of individual clients. Demonstrate understanding of the role of postural, respiratory, and sensory strategies that are part of the Therapeutic Listening program. This course is open to therapy professionals. This course is conducted by Brain Sense Therapy and all registrations are managed through their organization. You may register by completing and submitting the Course Booking Form to Brain Sense Therapy.